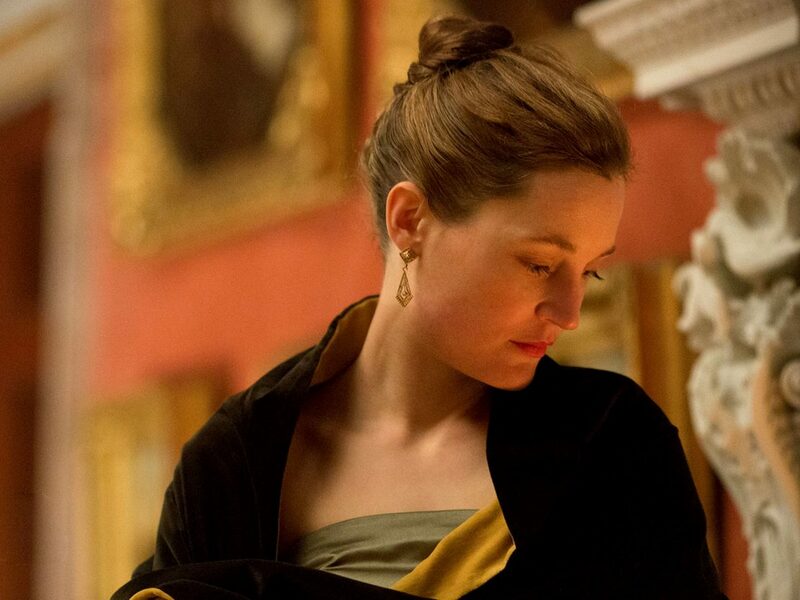 Although Vicky Krieps is not yet a household name, it almost goes without saying that Luxembourg-born actor’s starring role in Paul Thomas Anderson’s Phantom Thread may be the ultimate calling card. 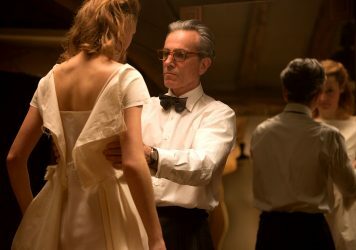 In the film she plays a waitress named Alma who is swept up into the interior and intense world of high fashion designer Reynolds Woodcock, played by Daniel Day-Lewis. She stands toe-to-toe with the method maestro in every scene, and what initially feels like a pressure-cooker battle of the sexes eventually reveals itself as something more complex. We sat down with Krieps to discover how exactly she stepped into her character’s shoes. LWLies: Do you enjoy talking to people about Phantom Thread, and hearing their theories about it? Yes, I enjoy discovering what exactly they have seen. Everyone gets something unique I think. Do you feel you know the actual meaning to the film? A little bit. I’ve had all these questions from all over the world and they give me a sense. And also because of the dubbing, I saw the movie scene by scene, over and over again. I could study Daniel and Lesley work very closely. As you’ve travelled around, do different countries have different readings of the film? Yes. It’s very interesting. Also, I’ve found that the more time that passes, peoples’ interpretations change. As if people allow themselves to see more. In the beginning, the questions I got were quite superficial. I was only asked about Daniel and Paul and whether it’s a power struggle. Originally, people were only interested in the power struggle and Alma winning. And had to say that I didn’t think anyone wins, and that the film is maybe about dialogue. It’s more of a dance than a fight. People are more open now. They’re ready to see more. It’s interesting how the perception of the movie progresses over time. The more I think about Phantom Thread, the less I seem to know about it. Exactly. After seeing it three times I started to be able to feel the movie. I wouldn’t say that I started to understand it, because even now I don’t really understand it. But I understand that there’s no need to understand it. When you first saw the completed film, was it a surprise to you? To me it was a complete surprise that it actually worked. That was my initial impression. I was so excited – I went to Paul and said, ‘It works!’. Imagine this movie as a script. It was great – the dialogue is genius. But then in terms of what’s happening, especially with the ending, you start to ask question about what it all means and how it all works. It’s a bit like what you do when you’re watching it. I wondered if people would believe this thing. If I say it works, I mean that the love story works. And if you believe the love story, then you believe the ending. You accept it. And that was a surprise. It’s hard to imagine a script for a movie like this. This film in particular, there’s a lot of editing work that’s gone on. A lot of the credit goes to the editor, Dylan Tichenor, who works with Paul. You always say, a movie is made three times: in the writing; in the making; and in the editing. In this case, it’s very, very true. In the writing stage, I was able to relate to the film without understanding it. I had a taste of this story without ever really knowing what it was. There are scenes, like one near the end when I make an omelette and I sit down and he’s there. We didn’t rehearse any of it – we just trusted that it would work. The lines don’t give you the answer. We just did it. Paul created an atmosphere that was so silent and still. It was almost holy, like a church. He made the conditions so we could open ourselves up. Did Paul ever time and explain the film to you? No. All he did was tell me why he wrote it and how it came to him. He was sick and he had his wife look after him. We connected on an emotional, intuitive level. Just this image gave me so much. For Alma he just said that she lost her mother and she immigrated just after the war, and that was enough for me to build a backstory. I knew he wasn’t going to give me any more than that, except maybe ‘be yourself’. And often you don’t know who you are. I went back and looked up everything I could find about my grandparents during the war. I found out what it was like to be a young woman during the war and lose people you loved. Moving to a new country. Building a new life. Being a mother for your father and brother and sister. This woman had to be super strong. We shot a scene which we didn’t use in her house, and it really was the tiniest house you could imagine. She had no money. She was probably cold for most of her life. Yet she was open enough to have these scene in the restaurant, see this man and follow him. So Alma was like a riddle I was trying to solve. I gave her whatever she needed to be able to do this. The story Paul has told about the making of this film, about being ill and being nursed by his wife. Did you feel that you were playing a version of Paul’s wife? I never thought of this. I know his wife, and I’m so very different so I could never even imagine it. Also, the main issue for me is I can’t imagine Paul sick in bed. It’s the last think I could ever imagine. It must have been very bad. You hadn’t met Daniel prior to shooting the film, so I wondered if you could tell me about the first time you made eye contact with him? It was emotional and it was nice. And it was also the strangest feeling, because something about it was so obvious. I expected myself to be more nervous and scared and insecure. But I wasn’t at all. I don’t know why. I knew I could be this person that he was seeing. 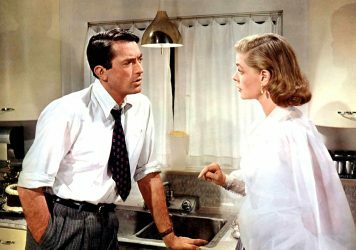 He was Reynolds, obviously, and I had this feeling that, yes, I can be Alma. And I had to do so in this one look. It must be hard to play a scene like that when you’ve read the script and you know that he’s been single for about 12 hours. I had seen it, but I forgot about it. I was good about forgetting everything I knew about Paul and Daniel. Everything I didn’t know about method acting I decided to not find out. I didn’t watch all of their movies. It was like meditation. This film was like walking through nature. Most of my work here is just about forgetting. And even forgetting that I am an actress. Phantom Thread is released 2 February. Read our review here. 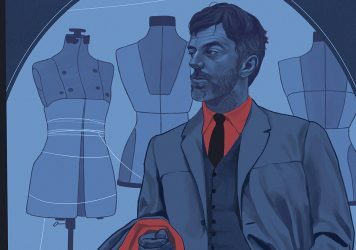 The American master talks Phantom Thread and preparing for a post-Daniel Day-Lewis future. From Brief Encounter to Rebecca, here are six cinematic classics that reveal the complexities of romance.